Most Sacred Heart of Jesus, King of Kings and Lord of Lords, Lagiewniki, Krakow, Poland * June 15, 2013. Joseph Sebastian Pelczar was born on January 17, 1842, in the small town of Korczyna in southwestern Poland. There he spent his childhood, raised in an atmosphere of traditional Polish piety. Recognizing his exceptional talents, his parents sent him to the district town of Rzeszow to continue his schooling after he had completed two years of elementary education at the local primary school in Korczyna. Even when he was still a young student, Joseph Sebastian decided to devote himself to the service of God. In his diary he wrote: “Earthly ideals are fading away. I see the ideal of life in sacrifice, and the ideal of sacrifice in priesthood.” After completing the sixth grade at the Rzeszow Academy, he entered the Minor Seminary. Later in 1860, he began theological studies at the Major Seminary of Przemysl. 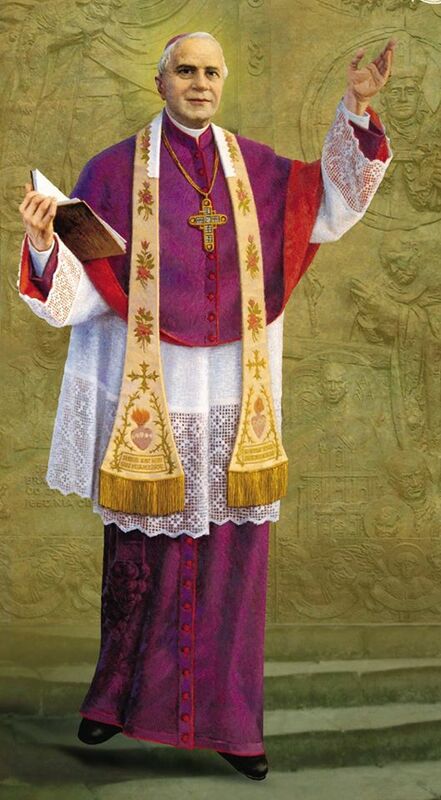 Ordained a priest on July 17, 1864, Joseph Sebastian was sent to Sambor, to a parish in the Diocese of Przemysl, where he worked for a year and a half as a curate. He was sent to Rome in 1866 and spent two years there, studying at Collegium Romanum, presently known as the Gregorian University, and the Institute of St. Apollinaris, now known as the Lateran University. His studies in Rome not only broadened his knowledge, but also filled his heart with a deep, abiding love for the Church and her visible head, the Roman Pontiff. 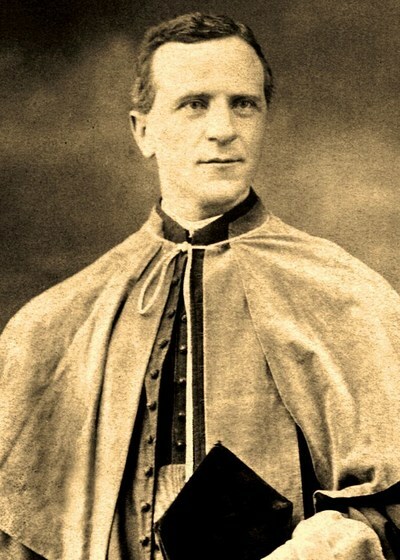 Having earned doctorates in theology and canon law, he returned to Poland and, after a short period of service as curate in Wojutycze and Sambor, he became a professor of the Major Seminary of Przemysl (1869-1877). Later, he was appointed as professor of the Jagellonian University in Krakow (1877-99). As a professor and as the Dean of the Theological Department, he gained the reputation as a wise and scholarly man, a competent organizer and a friend to young people. As a sign of their high esteem for him, the academic community entrusted him with the honorable responsibility of Rector of the University (1882-83), Krakow’s Alma Mater. Striving to live up to his ideal of “a Polish priest dedicated to the people,” Father Pelczar did not confine himself only to academic work. He generously involved himself in other social and charitable activities such as the St. Vincent de Paul Society and the Society for the Education of the People. In the latter of the two, he served as President for 16 years. During that time, he erected hundreds of libraries, delivered numerous free lectures, published and distributed more than a thousand books, and opened a school for servants. In 1891, Father Pelczar established the Fraternity of Our Lady, Queen of the Polish Crown. Besides its religious commitment, the Fraternity was founded to care for the poor, the orphans, apprentices and servants, especially those who were sick and unemployed. Joseph Sebastian recognized that the problems existing in his times were actually opportunities to see the will of God. In 1894, he founded the Congregation of the Sister Servants of the Most Sacred Heart of Jesus in Krakow, with the aim of spreading the Kingdom of the love of the Heart of Jesus. He wanted the Sisters to be signs and instruments of this love for girls, for the sick and all people in need. Five years later, in 1899 he was named Auxiliary Bishop of the Diocese of Przemysl. 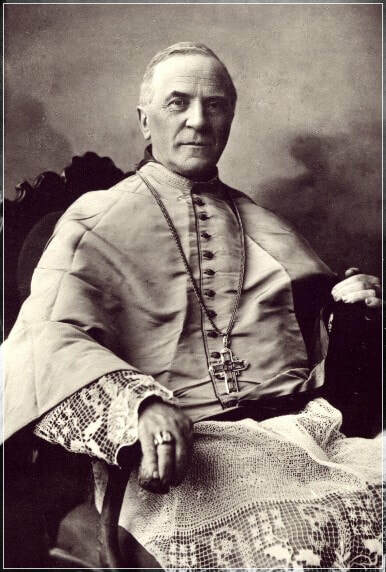 Upon the death of Bishop L. Solecki in 1900, he was appointed the local Ordinary of the Diocese of Przemysl. During the twenty-five years of his episcopate, he was widely regarded as a good pastor, devoted to the people entrusted to him. In spite of his poor health, Bishop Pelczar worked tirelessly in the religious and social needs of his Diocese. In order to encourage the faithful of his diocese to grow in the spirit of faith, he made regular pastoral visits to the parishes and devoted special attention to raise the moral and intellectual awareness of the clergy. Above all, he himself exemplified a life of deep piety that was expressed in his devotion to the Most Sacred Heart of Jesus and the Virgin Mary. He was an ardent adorer of the Most Blessed Sacrament and used to encourage members of his diocese to take part in Eucharistic devotions. Through his efforts, the number of churches and chapels increased, and many churches were restored. Despite the unfavorable political circumstances of the times, he conducted three diocesan synods. Always responsive to the needs of the faithful in his diocese, Blessed Joseph Sebastian took special care of the poorest. Nurseries, soup kitchens, homeless shelters, schools for poor country girls, tuition assistance for the education of poor seminarians were but a few of his works. He sympathized with workers who were unjustly treated, and with those who were forced to emigrate because of the difficult economical situation. 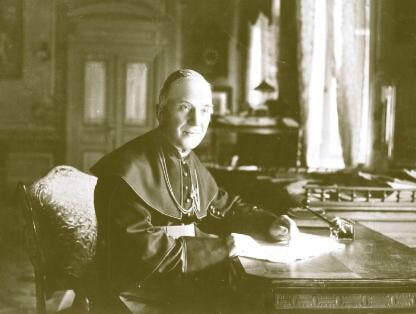 He emphasized the necessity of implementing the social doctrine of the Church as expressed in the social documents of Leo XIII. Extraordinarily gifted by God, Blessed Joseph Sebastian developed and increased the talents given to him. Among his gifts was a rich literary heritage. He authored numerous theological, historical, and canonical books, pastoral letters, sermons, addresses, as well as prayer books and textbooks. O what glory and what happiness, what fortune for us, that God allows us to love Him, admits us to an intimate friendship with Him – even calling us His friends. “You are my friends, if you do what I command you.” As if this was not enough, God desires our love as if He needs it for His own happiness, but it is we who need to love God for our own happiness. For that reason, He gave us a heart able to love; it is this heart He demands from us as the only pleasing sacrifice to Him. He also sent his Son to enkindle the fire of love on earth that it might burn on the altar of human hearts. Moreover, God asks for that heart: “My son, give me your heart,” and endeavors to capture this heart, revealing to him the infinite love of His Heart. However, because man is too often inattentive to that voice, therefore God gave him a particular command: ”You shall love the Lord your God, with all your heart, with all your soul, and with all your mind.” And who could not love You, True Love?! We should love the Lord God, because He is most worthy of our love, as the Greatest Perfection, even if there would be no reward for those who love Him. God, says St. Thomas Aquinas, as the Highest truth, is the first object for our intellect to know; as the Greatest Good, the first object of love for our heart. So then, as every essential good deserves our love, how much more the Highest Good, who is the source of all good. We should love the Lord God, because He is the loving Creator, the most gracious Lord, the most concerned Father; rightly then, that the creatures should love their Creator, servants their Lord, children their Father. We should love the Lord God, because He gave us His only Son, Who took human nature, became our Brother, Master, Savior, King, Father, Friend and Spouse of our souls. He also, in union with the Father and the Holy Spirit, loved us first, and with an everlasting love, as He Himself said: “I have loved you with an everlasting love”, with a most tender love, a love before which all mothers’ love vanishes; with a most generous love, a self sacrificing love, with such a great love, a love such as God Himself – unending love. If you want to know the greatness of this love, mediate on God’s great acts performed for men, namely the three eternal monuments of love: the manger, the cross and the altar. Stand especially beneath the cross, and look towards the love Crucified. Stand before the Most Blessed Sacrament and mediate on the immolation of the hidden God, the immense sacrifice of self, the entire giving to men with love without limits. Then penetrate into the Heart of Jesus and look at His love. Indeed, no one can understand what a great flame consumes that most moving Heart. When He would be advised to die for us not once, but a thousand times, or to suffer the same for one man what He suffer for all, His love would have accepted willingly for one as for all. If necessary, the Lord, instead of three hours, would have hung on the cross until the last Day of Judgment. His love is eternal and would have accomplished it. So Jesus loved us more than were His sufferings. O love of my God, how you were incomparably greater than you manifested Yourself externally! These inexpressible sufferings and wounds are a proof of Your great love, but do not reveal its immense greatness, because it is rather hidden, instead of revealing itself externally. It was a flame of a great fire, a drop from a great ocean of love. This love came to a summit in the Most Holy Mystery of the Altar. Who could not love this God of love? Abides in God and God in him. that we will continually grow in a knowledge and love of You. Through our Lord Jesus Christ, Your Son, who lives and reigns with You and the Holy Spirit, One God, forever and ever. Lord have mercy Christ have mercy. Lord have mercy. Christ hear us Christ, graciously hear us. St. Joseph Sebastian, pray for us. R. That without hindrance we may obtain the glory of heaven. God, infinite love, you called Saint Joseph Sebastian to cooperate in the salvation of souls by word, pen and example, to lead the faithful to you through the most Sacred Heart, source of life and holiness. By his example, grant that we may grow more fully in the knowledge of Christ your Son, and may follow him more faithfully in zealously spreading his Kingdom of your love. Through Christ our Lord. Amen.